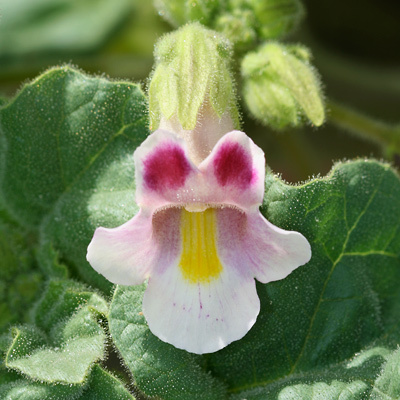 Description: The flowers are broadly tubular, 1 inch (2.5 cm) wide, glandular-hairy, and have 5 rounded lobes and a bright yellow nectar guide. The top 2 flower lobes often have magenta blotches. 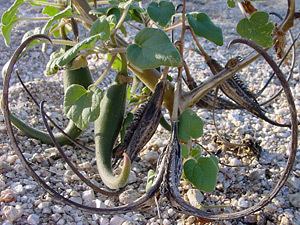 The flowers are followed by long, green, hairy, tapering fruits with a single curved "horn" that splits in half when dry to form 2 long, sharp, wooden "claws". 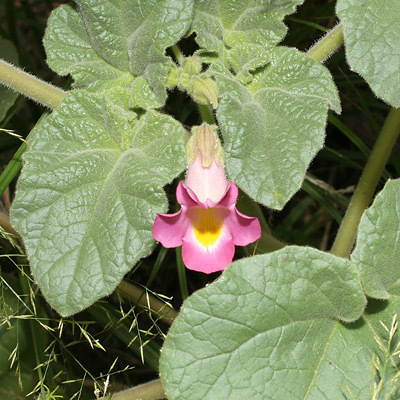 The leaves are green, hairy, sticky, entire to shallowly lobed, and rounded, triangular-ovate, or heart-shaped. 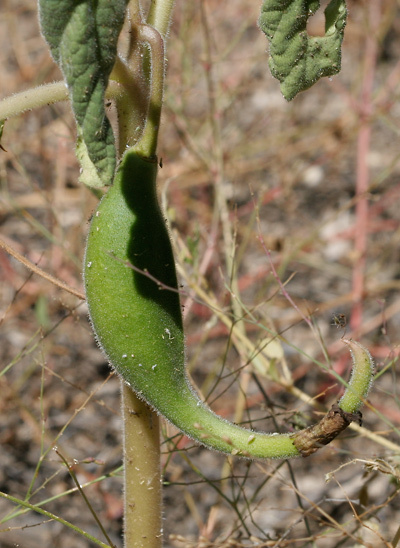 The stems are plump, hairy, green to tan in color, and erect or spreading. The similar Ram's Horn (Proboscidea louisianica) has flowers with rust-spotted upper lobes. 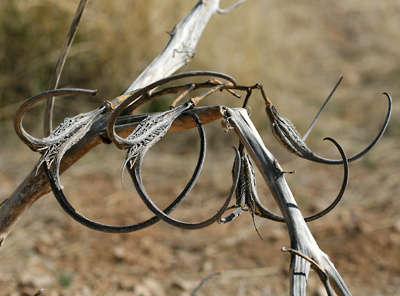 Culturally Significant Plant – The long, woody claws of the mature seedpods are still used in Native American basketry. The plants cultivated for this purpose have unusually long claws.